Julee and Emily have done it again! 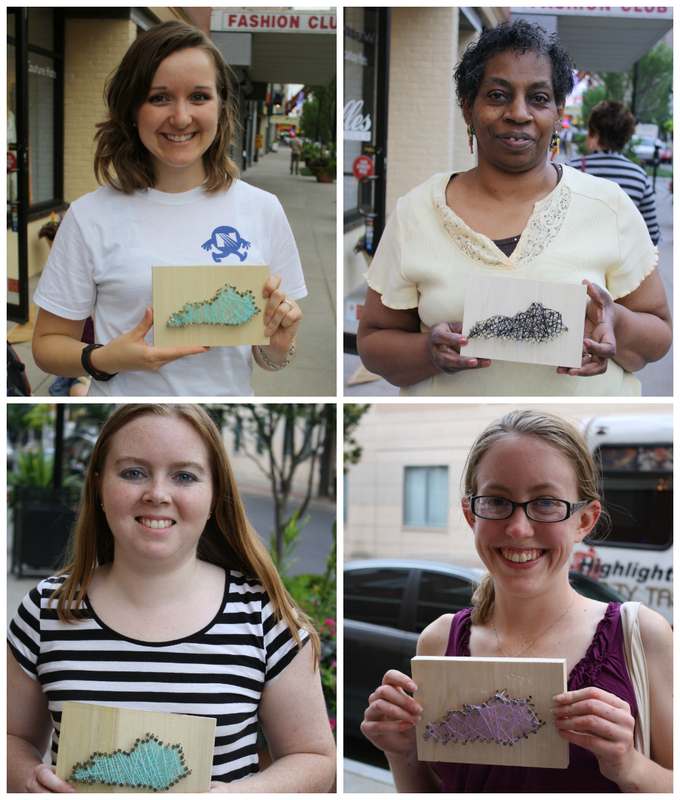 Only 1 week after the Louisville Bloggers Meet and Greet, they hosted a spectacular $5 craft at Block Party Handmade Boutique as part of a worldwide Etsy Craft Night. 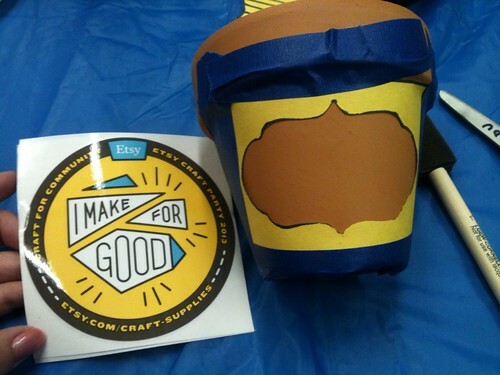 The project that they prepared for the evening was a make and take terra cotta pot. 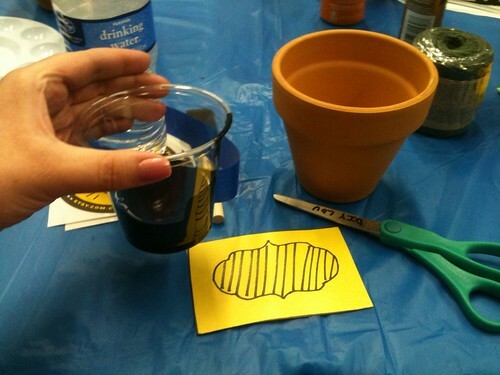 They had all kinds of materials to decorate your pot and different instructions. 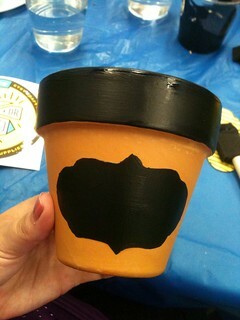 I chose to make the chalkboard painted pot! 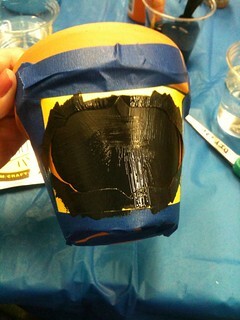 Cut out the patterned shape and tape the pattern onto the pot with painter's tape so that it is easily peeled off. Paint the chalkboard paint within the pattern and let dry a little bit. Remove the pattern while the paint is still sticky because once it dries, it would be difficult to remove. 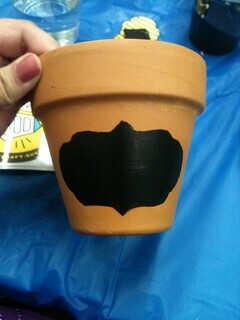 I also painted the chalkboard paint around the top rim of the terra cotta pot. Once the paint dried, I was able to write on it with chalk! Etsy sent some fun materials, and these cool stickers for everyone. 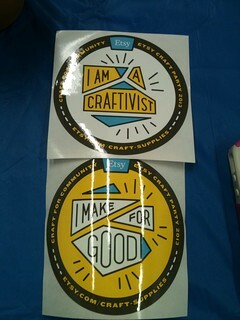 My favorite sticker is the one that says "I am a craftivist." I wholeheartedly agree! I love being a craft activist. I am so thankful to Emily and Julee for planning this great party. Again, I was able to meet some cool people and do one of my favorite things: CRAFT! See more photos from the evening at The Em Dash blog. I can't believe that the month of June is almost over! Of all the summers I've lived through, this one is the fastest one I can remember. I hope that you are taking the time to enjoy some of it. 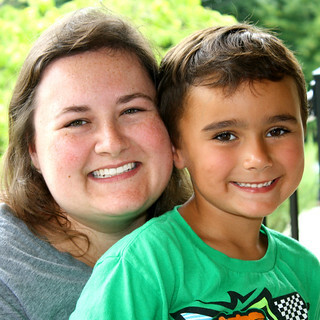 I know that some of the best times I have during the summer are with my friends and family, especially my nephew C! In fact, we have been enjoying some pool time, reading books for the library's summer reading program, crafting, planning for his summer birthday bash, and just having fun! 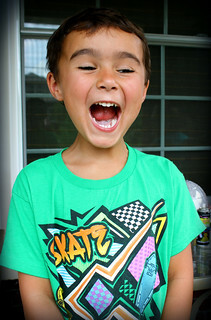 I just love hanging out and laughing with my goofy side-kick! I cannot believe that he will soon be turning 6 years old! Just like the summer, it's going so fast. He finished kindergarten and will be in 1st grade this Fall. I'm so amazed by everything he has learned: math, reading and even writing already! Be sure to enjoy the good times with the ones you love. I know that I will. 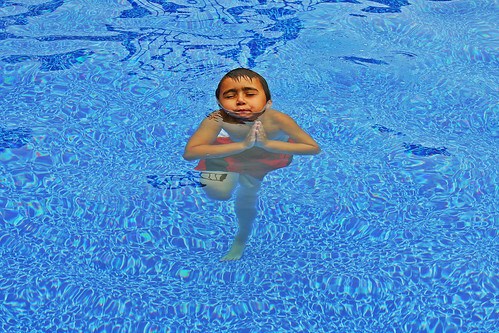 Oh, and make time for the relaxing stuff too, like pool yoga! If you're looking for a fun and creative Summer activity, check out the free printable coloring book I made last year. You definitely don't have to spend a ton of money on wedding decor! Julee from DIY Louisville and I went on WDRB in the Morning to show some ideas for the Bride on a Budget. 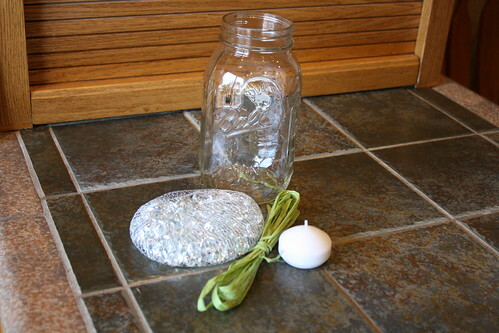 The full instructions for the 2 simple centerpieces are here. I printed the great table number featured in the video after downloading it for free from Hello Lucky, so thanks to them! You can always find my craft segments on my youtube channel. Check out Julee's videos here! One week ago Emily of The Em Dash and Julee of DIY Louisville hosted a Louisville Bloggers Night at The Hanger. 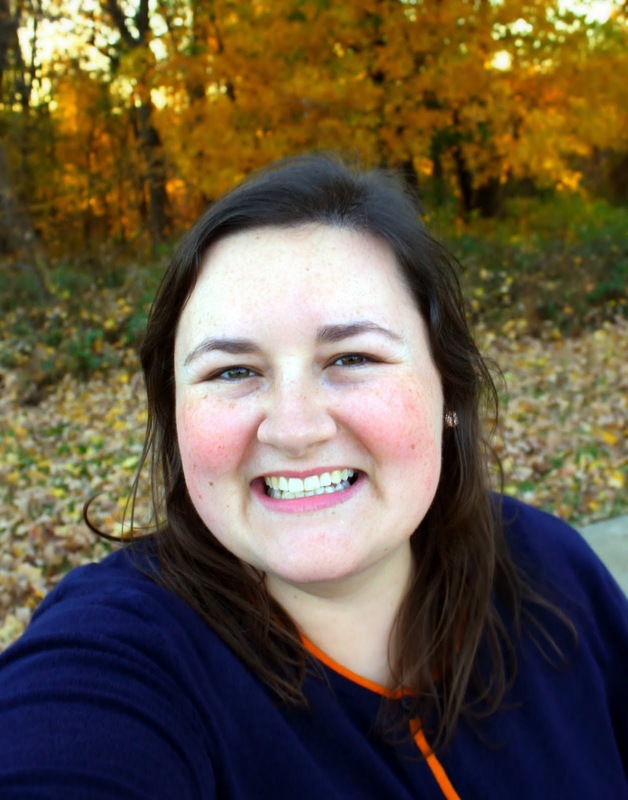 It was the first time for a Louisville blogger meet up, and it was lots of fun! I enjoyed taking photos at the photo booth! Julee even took some photos with me. She's my crafty partner in crime for sure! Do we look like we're having fun, because we were! My favorite part was getting to meet so many new people. I never knew of all the bloggers from Louisville! The Hanger was a fun space for the event too. It's a great handmade boutique right off Bardstown Road in the Highlands neighborhood of Louisville. Emily and Julee also put together a yummy spread of snacks and treats! They also gave away the coolest swag bags! I was proud to be a part of the swag bags that they gave away to all the guests, providing some sweet button earrings for the guests to enjoy! Each bag included some cool local swag and coupons. Other sponsors included Good Garbage, Miss Happy Pink, Lindsay Lou Jewelry, MoMo's Creations, Revelry, and more. Thanks to all the new bloggers who came out, to the sponsors, and the wonderful hosts: Em Dash, DIY Louisville, and The Hanger! Summer wedding season is in full swing. 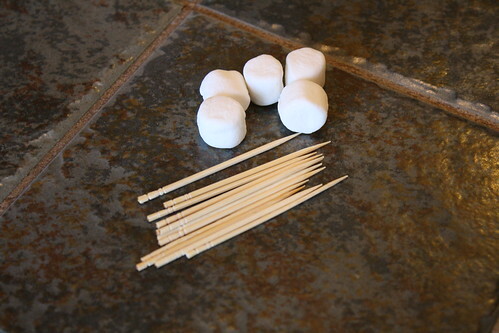 If you are looking for some simple centerpieces to make for your upcoming nuptials, look no further! 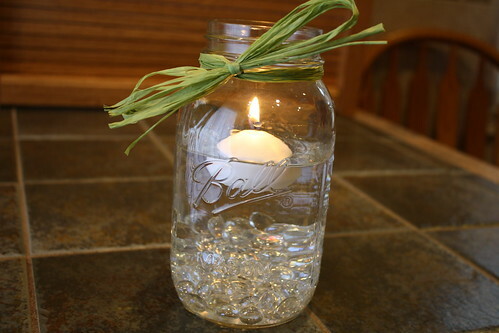 By using mason jars, a very popular choice for wedding decor these days, you can make 2 fabulous centerpieces. 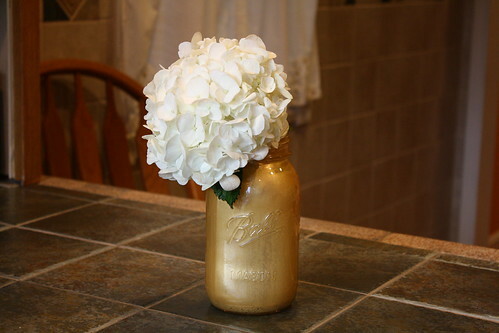 The first centerpiece is a glam, gold-painted mason jar. 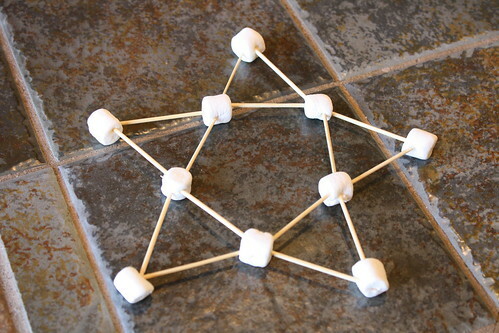 This craft is simple to make and good for the bride on a budget! 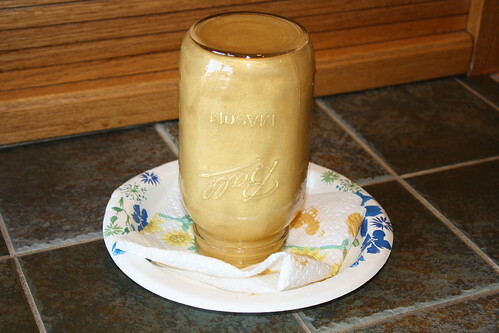 For this vase, you will need: Gold glass paint (opaque) Liquid paint medium (to loosen the thick glass paint) Empty mason jar If the gold paint is thick, like glass paint, add some liquid medium to loosen it up. 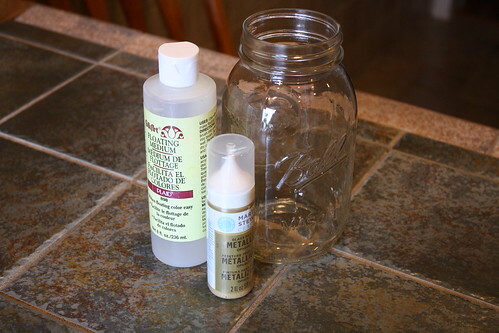 Squirt the paint into the glass jar. 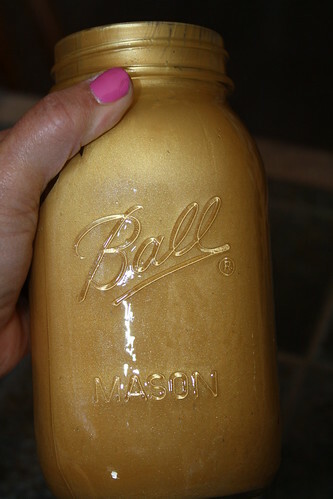 Spin the jar around to coat the glass with the gold paint. 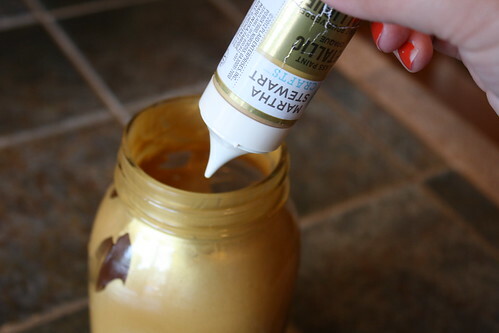 Turn the jar over to empty out the excess paint. Let jar dry according to instructions on the paint. 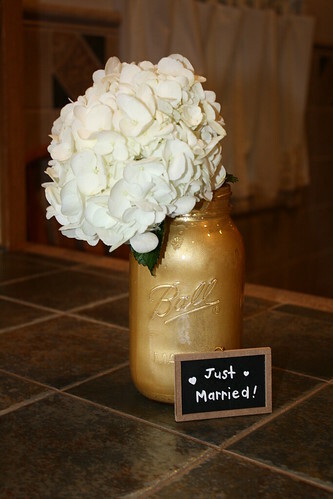 For the ceremony, add flowers or accessories to your jars and use as centerpieces. 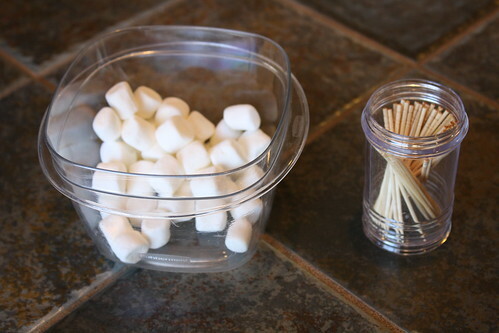 You can also add the table numbers into the jars so that guests can easily find their seats. 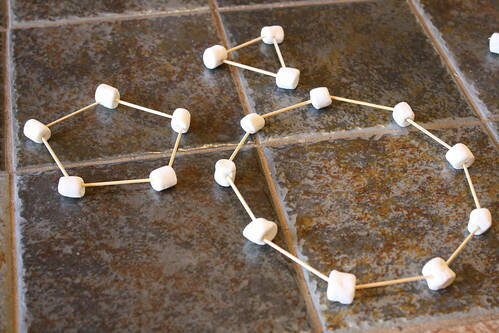 The second centerpiece is even easier to make, but just as cute. It could easily be customized to the different colors of your wedding! 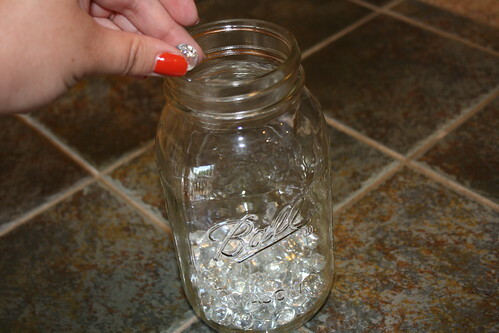 The first step is to add the marbles to the mason jar. For a beach theme, shells or sea glass would be adorable. You could also use large stones or pebbles. I do like the marbles because they reflect the candle light. 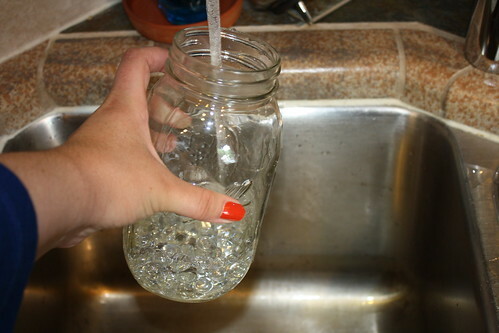 Fill the jar a little over halfway with water. 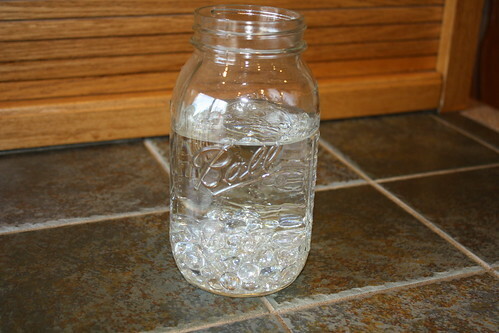 Let the water settle in the jar. 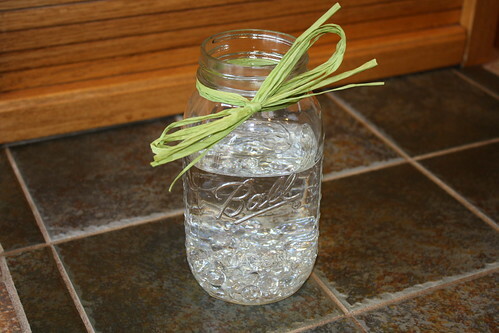 Tie a few pieces of raffia around the top of the jar. 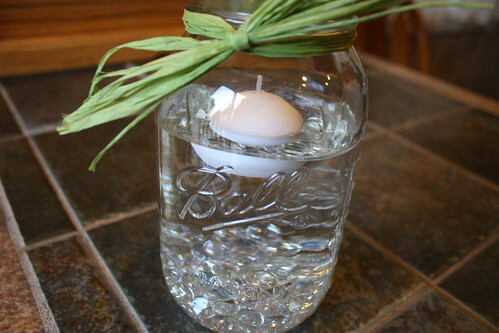 Add the floating candle and light the candle. Now you have created a simple and elegant centerpiece for your table! 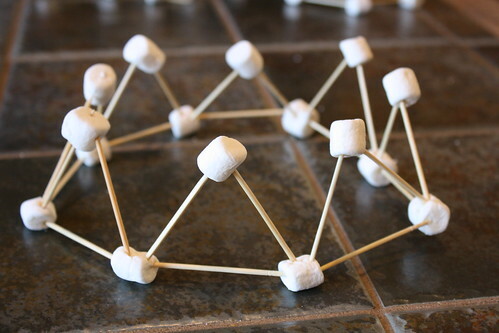 Have you ever learned a craft that a kid taught you? My nephew recently showed me a fun activity that he did at school. 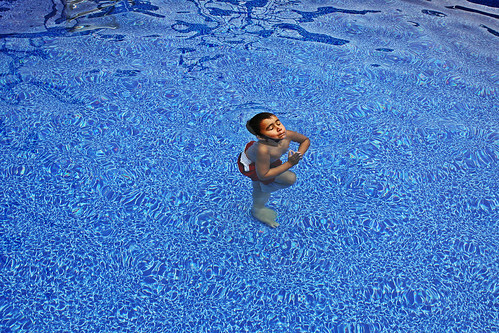 Now that it is summer time and he is out of school, he is looking for ways to stay entertained. 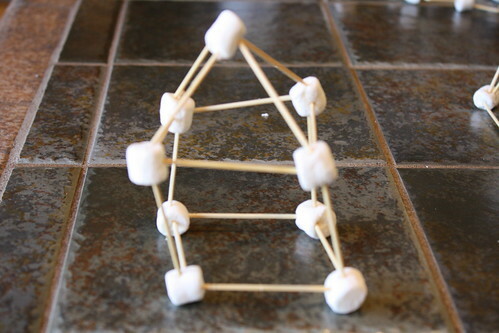 I think this marshmallow craft is simple and fun, and the opportunities of things to build are endless! 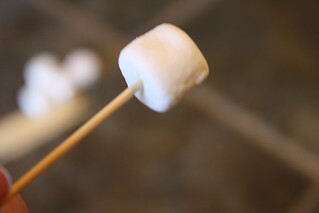 Start by sticking a toothpick into a marshmallow. 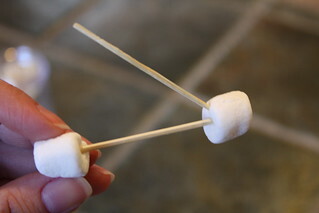 Then insert another toothpick to create an upside down V.
Add marshmallows on the 2 pointy ends (corners) and then add the last toothpick to create a triangle. 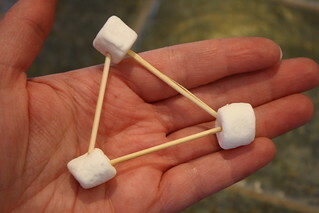 Continue to build the triangles beside each other and then join the ends to create a crown. 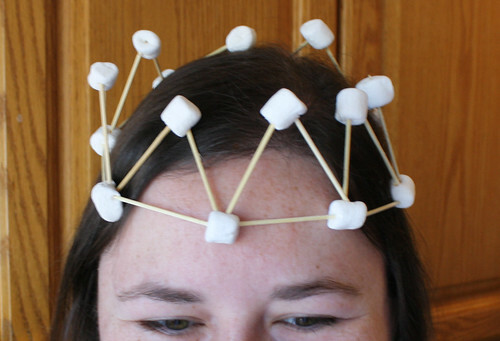 Who doesn't want to be Queen for a Day? Keep making all kinds of shapes to continue the fun! Shortly after giving this custom doll to its new owners, I learned that they had named him Albie. How sweet! 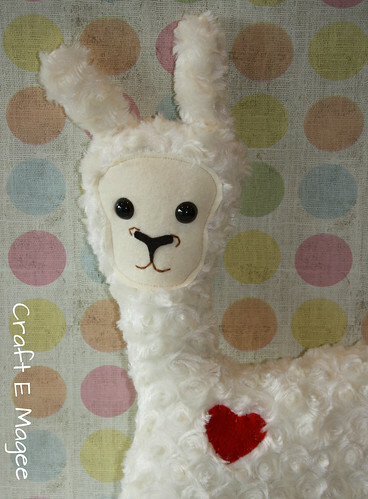 I like the alliteration of his name (as in Albie the Alpaca)! 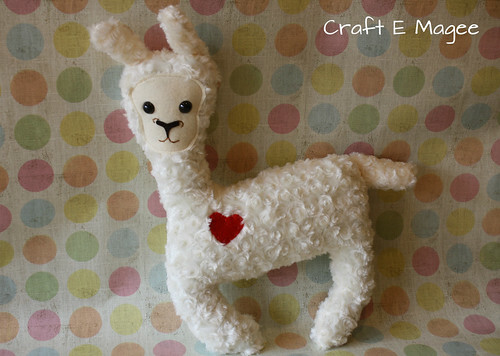 When they first approached me about making this custom doll, I didn't even really know what an Alpaca looked like. I learned that they are similar, but not the same as their cousins, the Llamas, and are much smaller. I used a very soft, rosette style faux fur fabric for this toy, and I love the way it turned out! From his big eyes to his sweet face, and the little heart on his chest, I hope that he makes his new family very happy. What sort of fuzzy friends make you smile? I've always been partial to kittens and elephants myself. Is there a certain animal you would like to see as a doll? Let me know by leaving a comment or sending me a message on facebook. I was so happy to be able to bring my nephew on to TV with me last week to make a Father's Day craft! 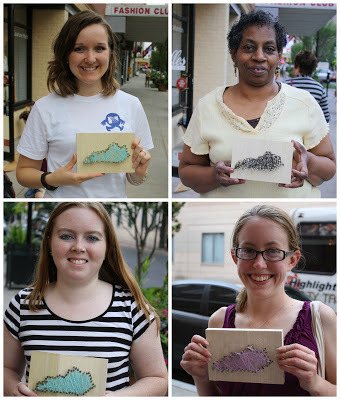 We made the wood burned boxes with WDRB in the Morning anchor Candyce. I think despite being very nervous, my nephew did a great job, and it was a fun experience! I teach crafts on WDRB in the Morning every other Wednesday. I will be on air again on Wednesday, June 19 making a summer craft. 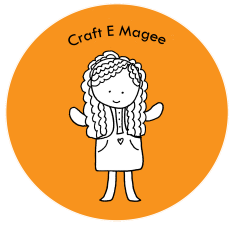 To learn more about my craft appearances, follow me on facebook at https://www.facebook.com/CraftEMagee! Free Craft was a success! 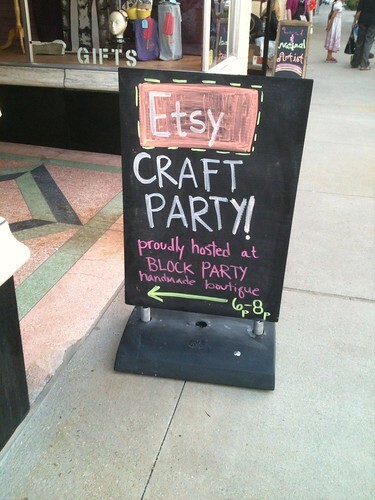 Thanks to all the awesome people who came out to make the free craft with me during Friday's Trolley Hop event at Block Party Handmade Boutique! It was a fun time and I got to meet so many new people. South Fourth Street was hopping that night, for sure! I loved seeing all of the finished products, each one awesome, and somehow unique! It's so cool to see how each person creates the same craft, but they each look a little different from each other. To see more photos of the event, check out the album on my facebook page.